How do you spell tranquility? 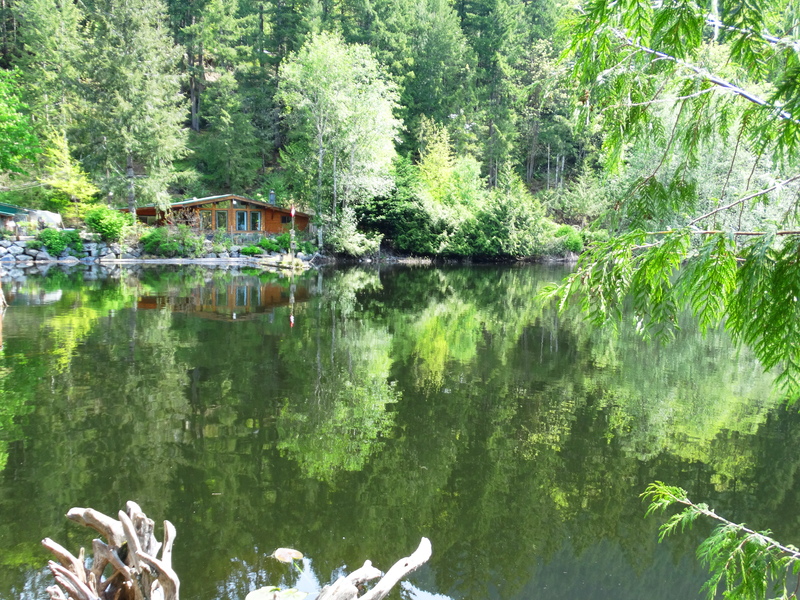 How about a cabin on a lake, with ducklings……. 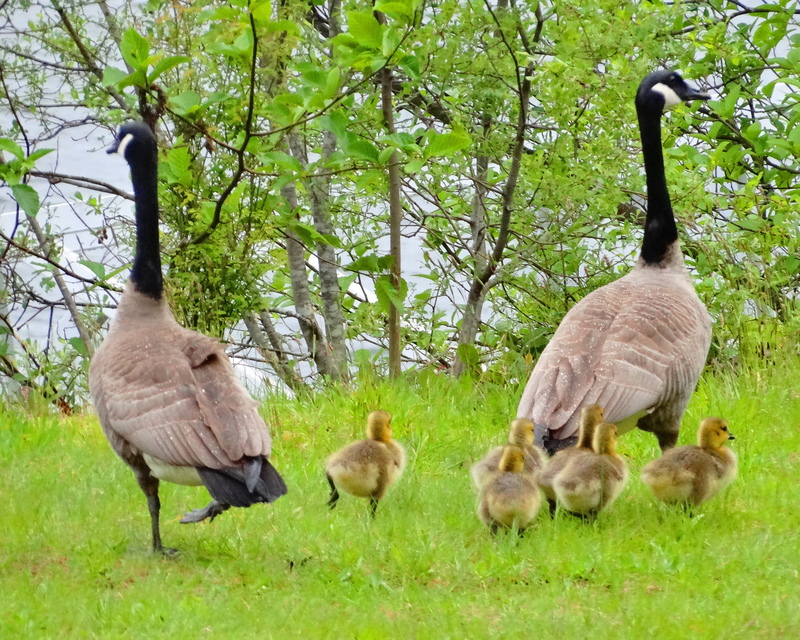 and of course Canadian goslings…..it’s Canada after all! Cheers to you from all the Canadian quackers! ← Fallin, Yes I’m Fallin….. Yes, all the little gooslings around here have also hatched and it’s lovely and tranquil watching them waddle along the waterways and across the streets. Have a wonderful week! So many such places is Canada! What an awesome place! You lucky ducky! Chuckles for the lucky duckies! What a lovely place!! 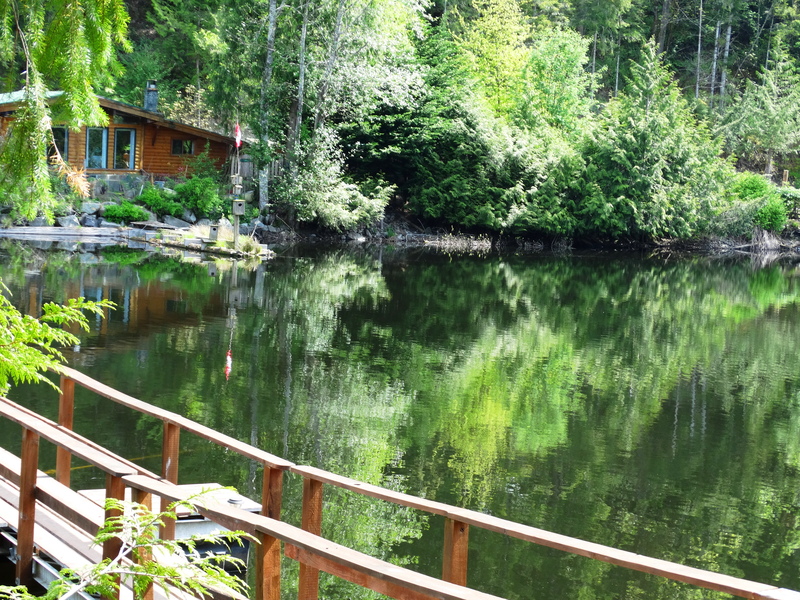 I can only imagine the peaceful feeling of spending time in that cabin 🙂 love the reflections in the photos. Great job! Cindy,dear ! What a delightful post ! 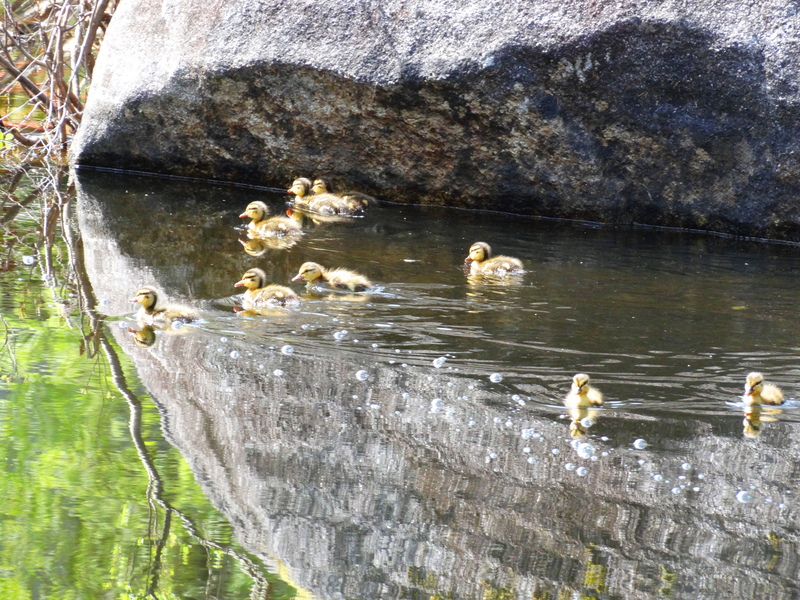 Love the duck babies and the tender family moments !!! 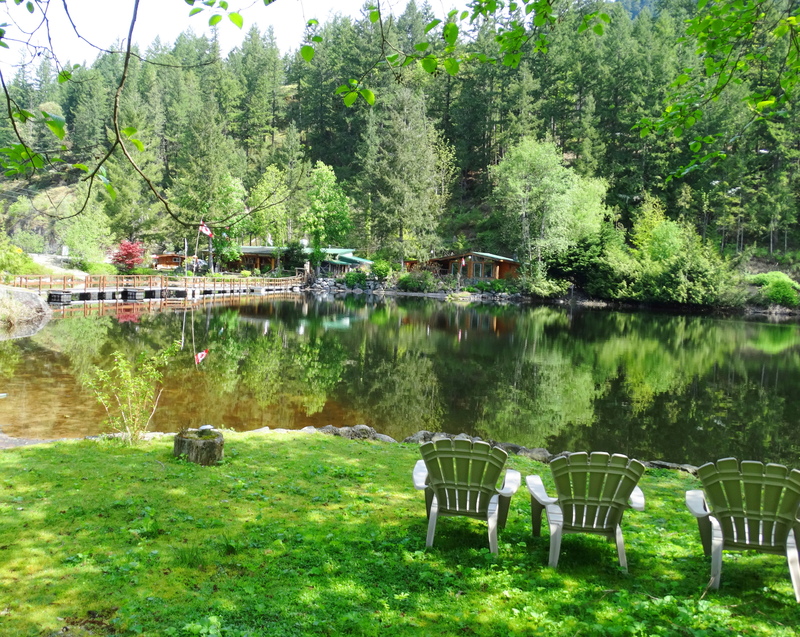 Memorial Day is right around the corner… I hope to get away from the crowds and spend some time in nature… how about you? I am honored by your thoughtfulness and hope you have a wonderful weekend in nature!! The fluffy babies are so cute! I love the reflections on the water that you’ve captured. Exactly!! But your good imagination can take you there too. Thank goodness we have this ability & cheers to you! Heaven! Visited my niece near Seattle. 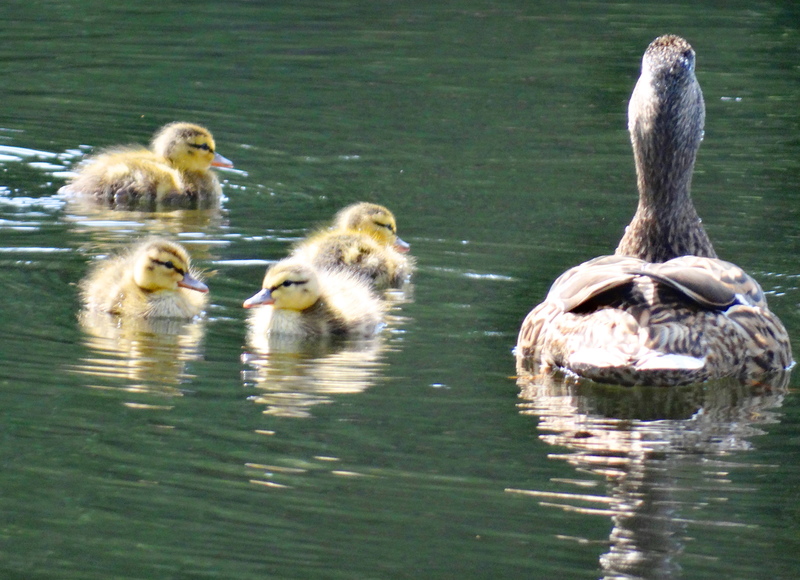 they have a lake with ducklings too. It is a very peaceful experience to watch them waddle and paddle around. Sweet is good. We need more sweet!! Yes the menageries mama needs a vacation!!!! Cindy – Finally, it’s my lucky day. I have the pleasure of visiting you and never a disappointment at the end of your lens. You’ve captured the pure essence of mother nature and tranquility in the purest form. Thank you, my friend. I had 2 big breaks yesterday in pursuing advanced health care for Tom. He’s very ill and I’ve been away from the blogging world trying to stay above water. Yesterday was indeed a great day. NIH has agreed his medical care is so complex they are willing to send 2 physicians to consult on the case and then perhaps actually take Tom on as a patient. I have high hopes. I love that descriptor!! Could have been the title! Ducks are so sweet and funny. Their quacking and the way they upend themselves in the water never fails to make me laugh. Oooooh I love Spain. Happy, safe travels, and bon voyage! I must move there right away. That bottom shot is just off the charts–surreal goodness. What a beautiful, peaceful setting. I’d love to simply “set a spell,” reflect, and enjoy the lovely reflections! Very calming post – wonderful photos! Thanks so much, we certainly need calming in our crazy modern world! 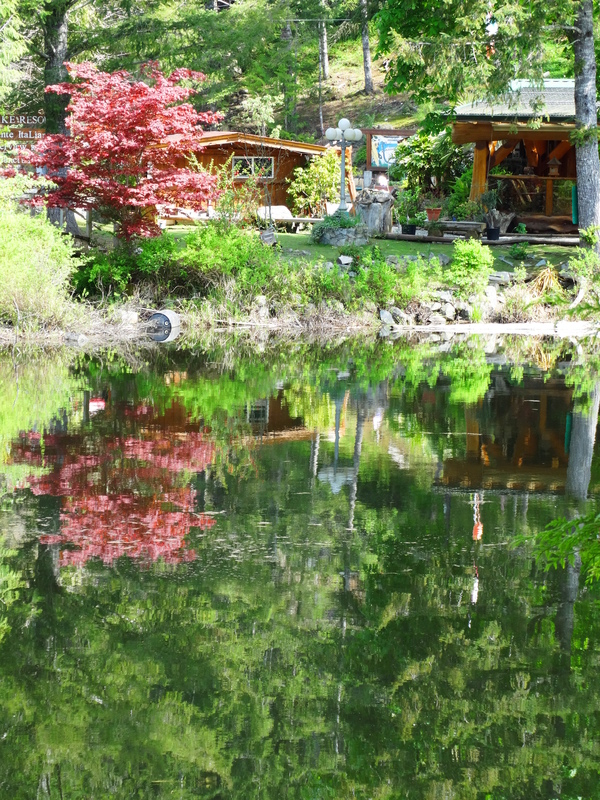 The way you capture reflections is so outstanding, Cindy! I love the precious ducklings photo the best of all! They are pretty adorable aren’t they! I wonder if they know it????? ?